HEATHER SANDERS, Winner of the Kay Latta Award! It’s time to announce the first winner of H&P’s annual Kay Latta Award! Our winner has been described as always having a smile on her face, welcoming, and willing to help anyone. Her nomination included comments like, “all in,” “brings a smile into every room she enters,” and “even when things are crazy she is making us laugh about it.” She’s noted for treating everyone equally, and for being willing to do whatever it takes to get the job done. Our winner is recognized as a perpetual cheerleader for H&P everywhere she goes. Whether it’s a networking social, recruiting event, or just interaction with interns and new staff, she is always promoting the firm, service to our clients, and a focus on service and professionalism. She received her first introduction to H&P while delivering ribs during busy season, and made her way back to us full-time as soon as she could! 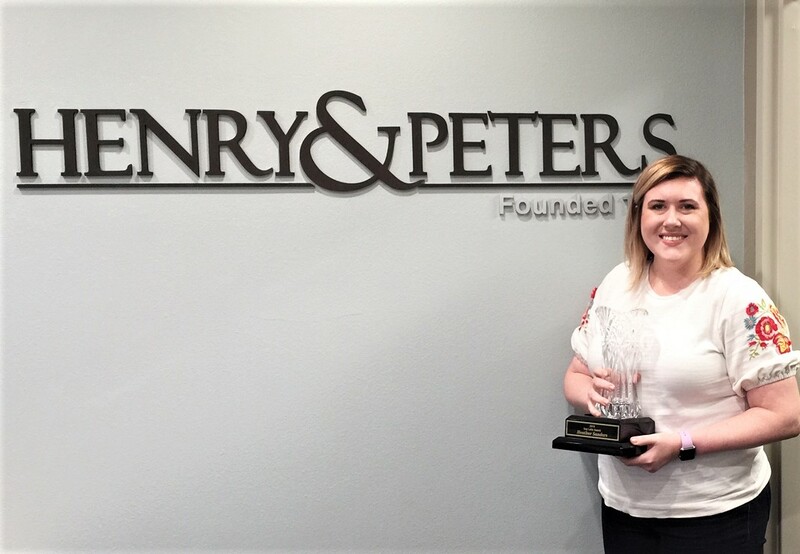 By now there should be no doubt – the 2019 recipient of the Kay Latta Award is HEATHER SANDERS. Congratulations HEATHER, and thank you for following in the footsteps of a great leader!! !